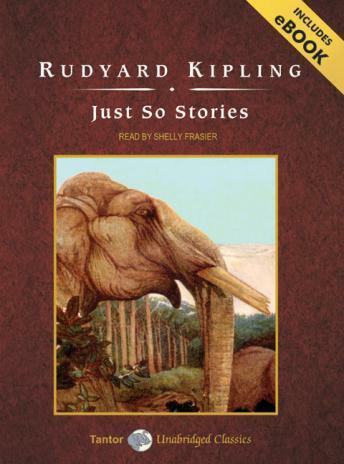 Drawing from the oral storytelling traditions of India and Africa, Nobel Prize winner Rudyard Kipling's vigorous, amusing tales offer imaginative answers to unanswered questions about animals and provide little pearls of wisdom. Kipling began inventing these stories in his American wife's hometown of Brattleboro, Vermont, to amuse his eldest daughter. Over 100 years later, these classic tales, filled with playfully clever animals and people, are still entertaining children and adults alike. 'How the Camel Got His Hump,' 'How the Leopard Got His Spots,' and 'How the Alphabet Was Made' are just three of the twelve enlightening short stories.